Everything you need to mount the panniers on your bike is included in our Pannier Kit. Does not include a Tail Rack or the Pannier Decals shown in these pannier photos. Note: The Denali is not recommended for an F650GS/G650GS that is lowered by aftermarket equipment. For a lowered bike, see Cascades and Tetons. Tim says: "The Denali is my first pick for this bike... with its narrow width and high volume. My bike is a 2010 BMW G650Gs. These questions all pertain to Denali Panniers.1. On the Pannieres 101 page, description says CLIFF-CUT is "offered" for Denali. On the Order page pictures DO NOT show CLIFF-CUT nor can I click to choose CLIFF-CUT. Is CLIFF-CUT a standard feature or not? Picture shows top of panniers level with top of passenger seat. With CIFF-CUT it looks like my passengers rear-end would have less room.2. On Panniers 101 page , picture of Slot Hinge Lid on aluminum panniers shows a black inner surface. Does this completely line the inside of the pannier? Or will black rub off on my clothes? The Clif Cut does not work on every bike. The G650 is one of the bikes that does not allow the Clif Cut design. This due to the mounting points of the SU Rack. 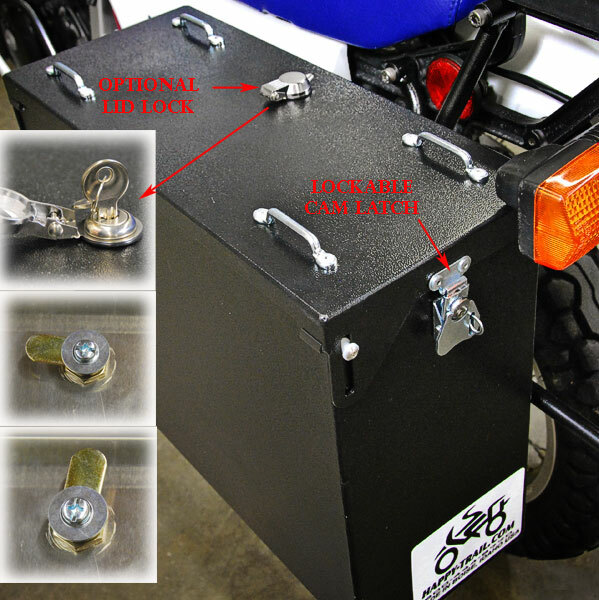 On each bike we offer pannier kits that work with that bike. The dark inner surface you are referring to is poor light conditions on the photo. The inside of the pannier is bare aluminum. The aluminum does create a black oxide when items rub against it. This is easily ovecome by storing your gear in bags.